“Invictus” is a short poem by the English poet William Ernest Henley, written in 1875. Nelson Mandela had the poem written on a scrap of paper while he was incarcerated for 27 years. He recited the poem to fellow prisoners in Robben Island jail, as a way to build up their spirits, and motivate them to press onward. In 1990, Nelson Mandela was released and in 1994 he was elected President of South Africa, trying to unite his nation, divided by the apartheid. 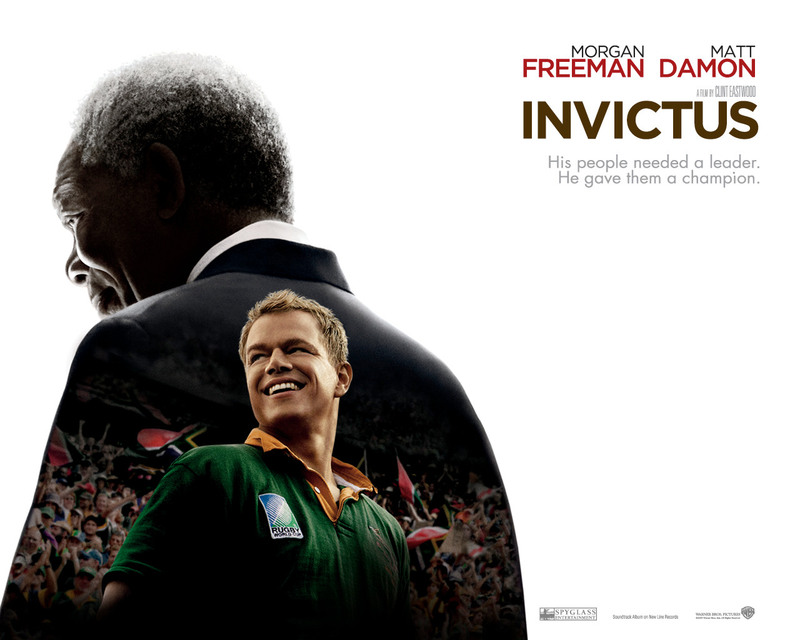 Invictus is also the title of a 2009 film, directed by Clint Eastwood, a tribute to Nelson Mandela, starring Morgan Freeman as Nelson Mandela and Matt Damon as the captain of the Springboks, the South African rugby team. This is a film about South Africa’s transition out of apartheid. Mandela gives the Rugby South African team the mission to win the Cup, a major step toward uniting both black and white South Africans behind them. When the team’s ability to go forward is in doubt, Mandela gives captain’ team, Pienaar, a copy of “Invictus,” for inspiration and strength. To unite his country, he asked one man to do the impossible, to win. The movie is very touching and I frequently found myself almost moved to tears. I highly recommend this movie.